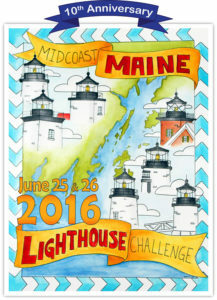 For two days only on June 25 & 26, 2016, don’t miss out on the chance to visit and climb these 7 alluring lighthouses (Event hours: 9am -5pm)...Dyce Head, Fort Point, Grindle Point, Rockland Breakwater, Owls Head, Marshall Point and Pemaquid Point. 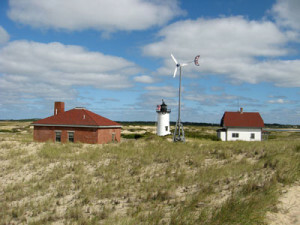 The Friends of Little River Lighthouse, a chapter of the American Lighthouse Foundation, offers special Open Houses, in addition to the site’s overnight stay program during the summer season, so that the general public can have the opportunity to visit and enjoy the island light station. Boat transportation to the island from Cutler Harbor is provided. Enjoy an afternoon of fascinating presentations and a special Keepers Q&A during the American Lighthouse Foundation's special symposium event being held at the Kennebunkport Conservation Trust! Join us for the weekend in Kennebunkport, Maine - May 6th and 7th, 2017! 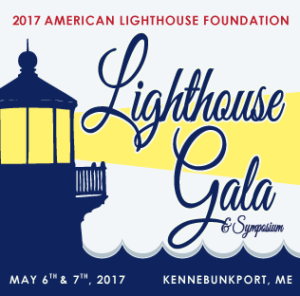 The 2017 Lighthouse Gala...our annual afternoon celebration is once again being held in the ballroom of the beautiful Nonantum Resort in historic Kennebunkport! 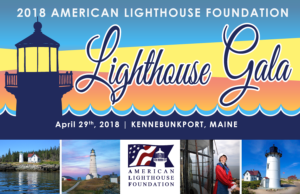 Join us on April 29, 2018 in historic Kennebunkport, Maine for the 2018 Lighthouse Gala! The 2018 Lighthouse Gala...our annual afternoon celebration is once again being held in the ballroom of the beautiful Nonantum Resort (95 Ocean Ave)in historic Kennebunkport! 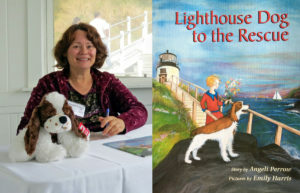 Keynote Speaker this year will be Sally Snowman, Ph.D., the 70th keeper of Boston Light. Boston Light has been lighting the way for safe navigation into Boston since 1716 and continues this mission today. 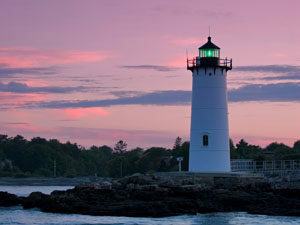 ALF is sponsoring a special Penobscot Bay lighthouse cruise... this unique cruise departs from Rockland's Public Landing and is a wonderful opportunity to see nine lighthouses, some of which you can only see from the water. The list includes: Rockland Breakwater, Owls Head, Browns Head, Goose Rocks, Eagle Island, Mark Island, Isle au Haut, Saddleback and Heron Neck.